A FORGOTTEN GEM OF A WESTERN! 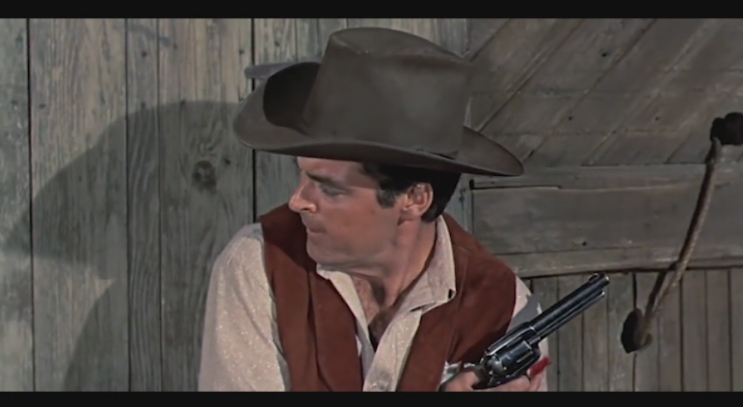 Alec Longmire (Rory Calhoun) makes his living as a famous gunfighter, never very far from the grim reaper's gaze. However, when long-time partner and fellow gunslinger Bud Purvis (James Millican) must make the ultimate sacrifice to fend off a few baddies, he makes Longmire promise to hang up the guns and seek reform. Longmire sets out with every intention of honoring his promise, but winds up in a town where there a range war is brewing. Local Sheriff Jade Murphy (Dean Jagger) is delighted to have the famed gunman on his side and asks Longmire to be his deputy. Big baddie Rufus Henshaw (Robert Middleton), who is trying to gobble up all the land, counters by contracting the fastest gun in the west, Chet Swann (Grant Williams). Williams is excellent as the mean, always laughing Swann. 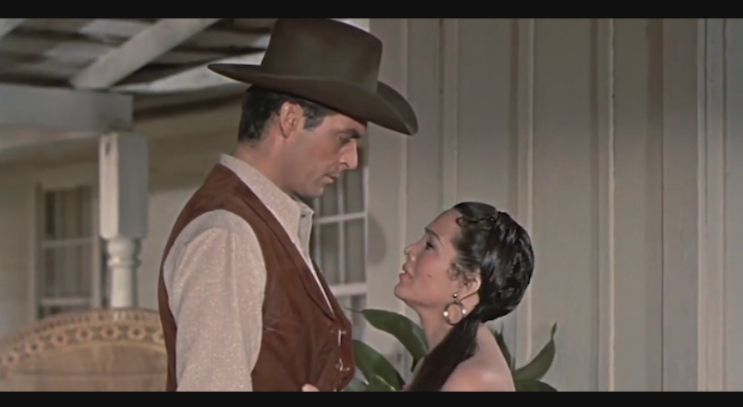 Longmire also falls in love with Caroline (Martha Hyer) the Sheriff's daughter - but this is complicated by the presence of Henshaw's mistress, Maria (Lita Baron) who has a history with Longmire. 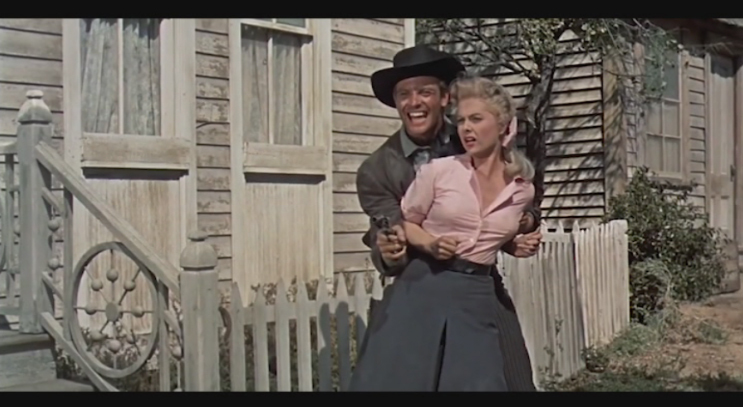 One of the greatest satisfactions in watching old westerns is when you find some forgotten film that turns out to be quite good like this one. 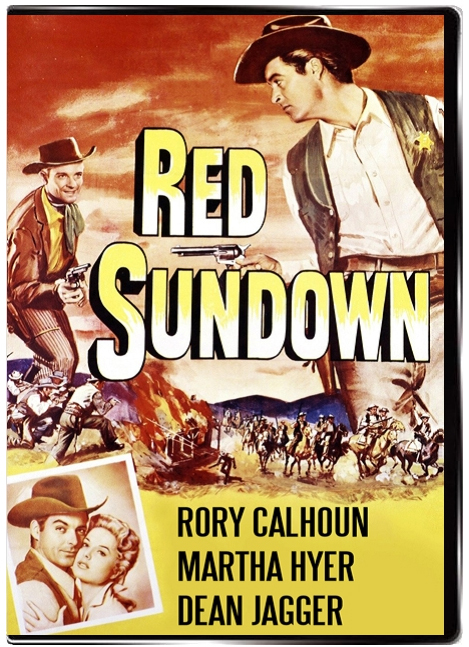 Red Sundown definitely belongs in the higher end of 1950s Western programmers, coupling the action and character staples with smart writing. From the beginning we are cued in to the picture's intentions by having Calhoun's machismo front and center, only to then be confronted by some sombre tones and rueful dialogue. The whole story has something worthwhile to say, some keen observations, and clever storytelling techniques. Young actors David Kasday and Scotty Morrow function as a kind of Greek chorus commenting on the comings and goings in the town and showing the voice of public opinion. Grant Williams, the future Incredible Shrinking Man, makes his screen debut here in a brilliant performance playing a vicious punk gunfighter that Calhoun has to deal with. 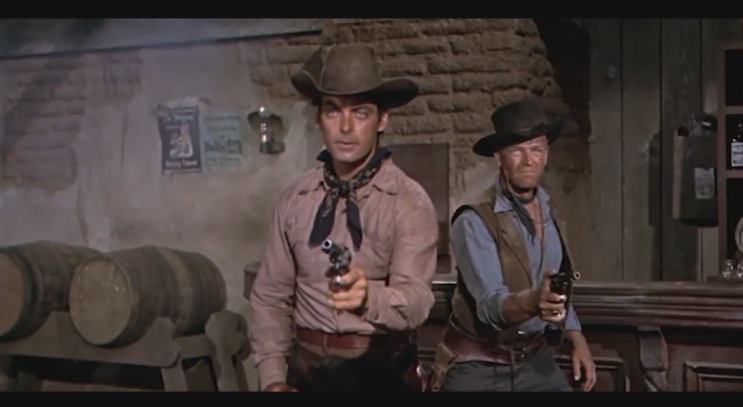 Also watch for western legend Lee Van Cleef in a flashback, which was uncredited. 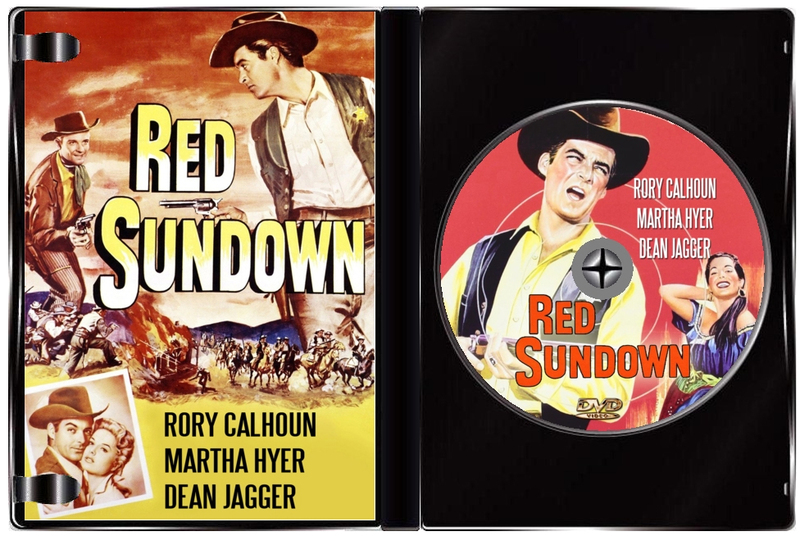 Red Sundown is one of the best of Rory Calhoun's B westerns and definitely a great achievement for director Jack Arnold who made the absolute most of the limited resources afforded to him. Bonus here, though with much sadness, is James Millican's final heart-aching performance as a gunman whose time is ebbing away. Millican was dying of cancer at the time and wouldn't live to see the film released. Poignancy added to what is a film that seems to have been long forgotten but certainly earns the right to be better known.